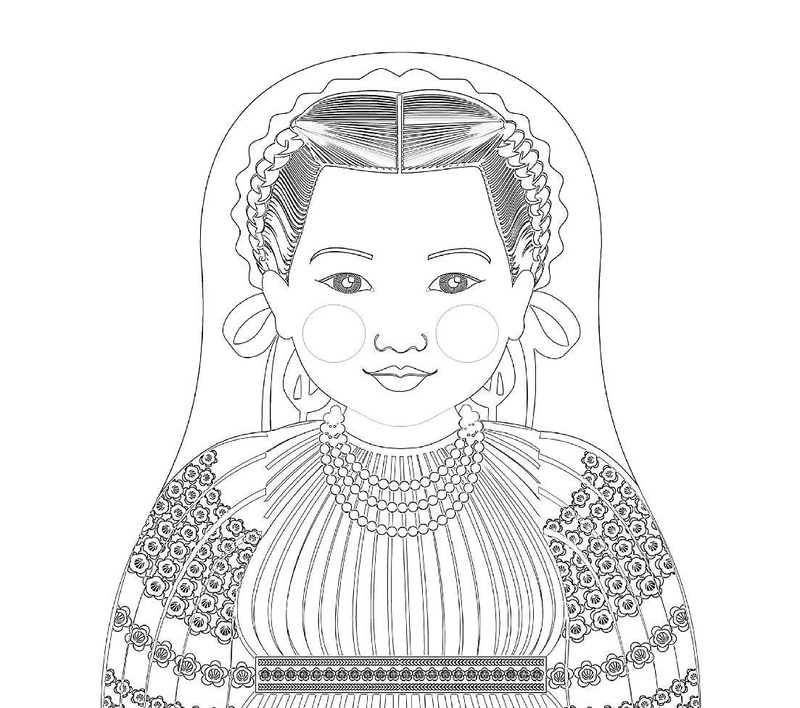 This coloring sheet is based on my original Croatian Girl Matryoshka (Babushka, Russian Doll, Nesting Doll) illustration. Please see second image for full coloring sheet. Just purchase to instantly download the (size: 8.5”x11”) PDF file (with the copyright wording that is diagonally across the image removed). Download, open and print out this fun and convenient coloring sheet. Print as many, and as often as you want. This sweet coloring sheet is a fun activity for parties, special occasions or anytime. great as always! thank you! 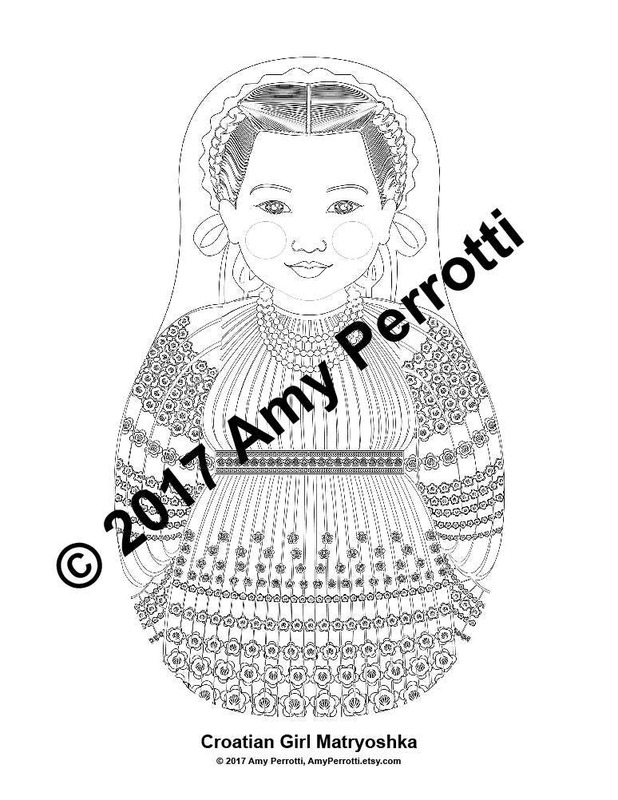 I had an itch to do some coloring and found this adorable matryoshka doll coloring page in Amy's shop! I couldn't resist it! So, so pretty!!! Here's my completed coloring page....I love her!!! !